A scale model of Phil Kraft's famous Kwik Fli. 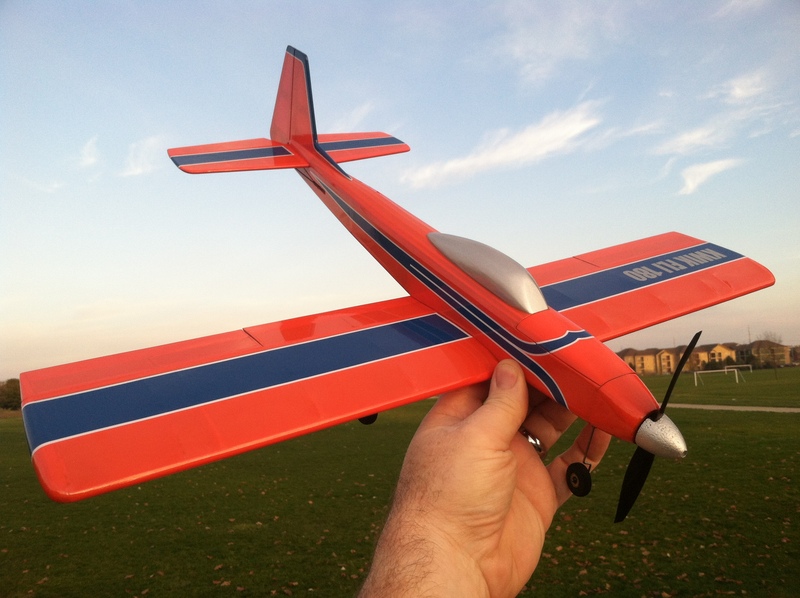 It uses the brushless equipment found in the popular E-flite line of UMX airplanes. It has a wingspan of about 22-inches, has over 100 sq/in of area and a flying weight between 85-95 grams. This short kit includes laser cut balsa wood parts, a clear plastic canopy, and a full-size printed plan.